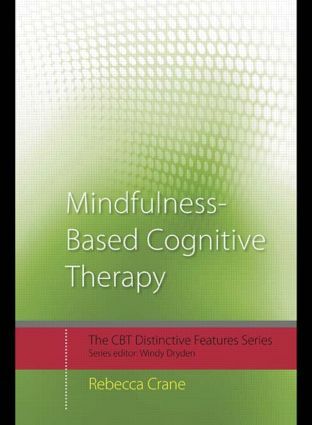 Mindfulness-Based Cognitive Therapy (MBCT) is increasingly used in therapeutic practice. It encourages clients to process experience without judgement as it arises, helping them to change their relationship with challenging thoughts and feelings, and accept that, even though difficult things may happen, it is possible to work with these in new ways. This book provides a basis for understanding the key theoretical and practical features of MBCT. Focusing on a mindfulness-based cognitive therapy programme that is offered in a group context to those who are vulnerable to depressive relapses, the text is divided into 30 distinctive features that characterise the approach. Mindfulness-Based Cognitive Therapy: Distinctive Features provides a concise, straightforward summary for professionals and trainees in the field. Its easy-to-use format will appeal to both experienced practitioners and newcomers with an interest in MBCT.